Connects any device with a DVI port that is digital (such as a computer, monitor or TV) to any HDMI device. 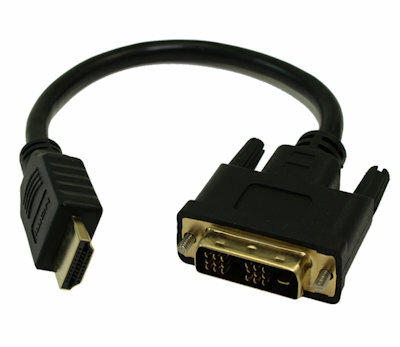 All of our HDMI/DVI cables are purchased from manufacturers that are CERTIFIED by hdmi.org. Certification means that the manufacturer has submitted test results to HDMI and have received official HDMI certification as an "Adopter". There are plenty of "pirated" cables on the market today! Beware of product that is being sold for what appears to be an "incredible bargain". Double shielding for maximum video performance and prevents signal loss & screen ghosting. PVC jacket, molded ends, Inner hood soldered 360 degrees to	the connector for complete end to end shielding. Compliant with HDMI 1.3 (and backward compatible to all previous versions) to ensure your cable will work with today's, and tomorrow's electronic equipment. Supports distances of up to 50ft without any signal loss. Is RoHS Green Certified. Production process that uses laser jacket stripping & aluminum foil cutting with precise machine soldering. 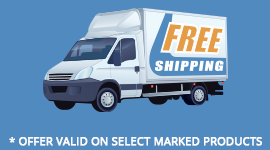 Outperforms all more expensive "retail boxed" cables - guaranteed or your money back! My Cable Mart only purchases HDMI cables from authorized adopters. 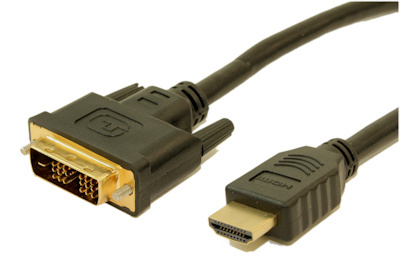 to HDMI for testing and certification.